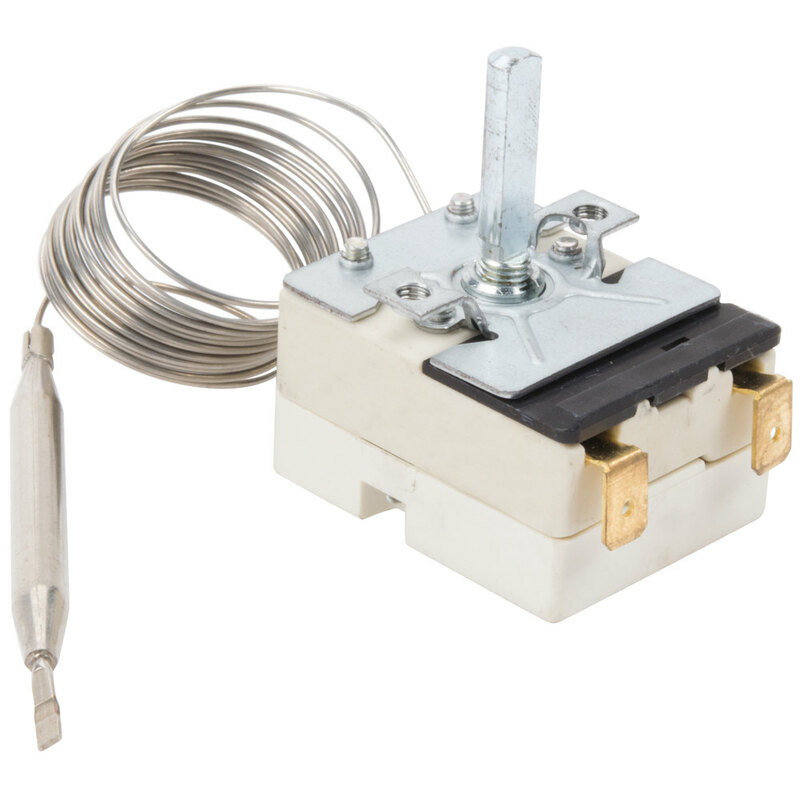 Ensure that your Carnival King waffle maker is properly cooking your waffles by replacing the damaged thermostat with this Carnival King WBMTHERM thermostat! This thermostat will accurately control the temperature of your waffle maker so that you'll never have to worry about burned or undercooked products. It fits WSM22, WSM11, WCM1, WBS46, WBM26, and WBM13 waffle makers.